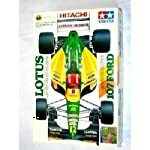 Lotus is a British manufacturer of racing and sports cars. The company was started in 1952 and although they went bankrupt once, have not been owned by a bunch of other car makers like similar firms have. 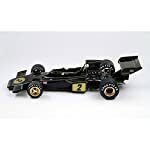 Lotus model car kits are primarily focused on the Formula racing models, but you may find a kit of a regular production model from time to time.